Welcome to Eagle Mountain Family Eye Care‘s Promotion Page! Here is where we feature our current hottest offers. Our current eyewear promotions are below. Do not miss the discount! Spring is here! It is time to get in style! 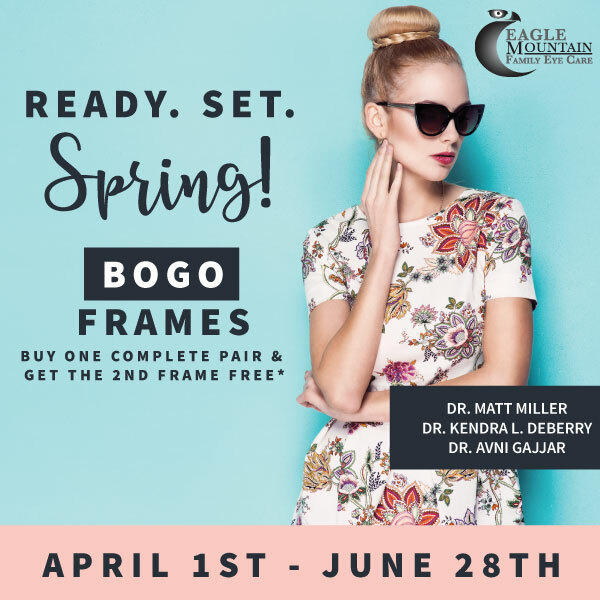 Come check out our Bogo frames. Buy one complete pair of frames and get the 2nd frames free!